Ken Willey is a Managing Partner at GRP. His responsibilities include overseeing all facets of GRP's investment activities. 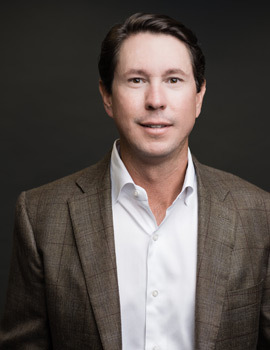 Over the course of his career in the oil and gas industry, Ken has completed or been involved with over 100 transactions across most major domestic oil and gas basins, representing over $500 million in aggregate capital. Prior to founding GRP, Ken was Co-President at GRP Energy, LP, a firm he co-founded with Kevin Boscamp in 2009. At GRP Energy, LP, Ken's primary responsibilities included sourcing, valuing, negotiating and closing mineral and royalty transactions. Prior to that, Ken and Kevin co-founded Granite Advisory LLC ("Granite Advisory") in 2007. Granite Advisory provided advisory services to other energy and finance professionals seeking to acquire or divest non-operated working interests. Prior to Granite Advisory, Ken was with Noble Royalties, Inc., an energy company focused on the acquisition and management of mineral and royalty assets. At Noble Royalties, Ken was Vice President of Acquisitions and Divestures and had a team of professionals reporting to him including geologists, reservoir engineers, engineering technicians, landmen, and financial analysts. Kevin Boscamp is a Managing Partner at GRP. His responsibilities include overseeing all facets of GRP's investment activities. 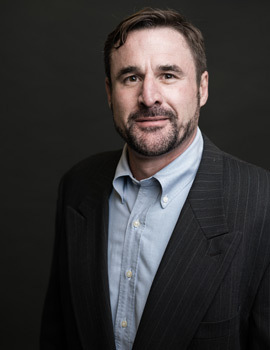 Over his many years in the oil and gas industry, Kevin has completed or been involved with over 100 transactions across all major domestic oil and gas basins, representing over $500 million in transactions. Prior to founding GRP, Kevin was Co-President at GRP Energy, LP, a firm he co-founded in 2009 with Ken Willey. Kevin's primary responsibilities at GRP Energy, LP included sourcing, valuing, negotiating and closing mineral and royalty transactions. Prior to that, as mentioned above, Kevin co-founded Granite Advisory along with Ken Willey in 2007. Prior to Granite Advisory, Kevin was with Noble Royalties, Inc. At Noble Royalties Kevin was Executive Vice President of Noble Royalties and President of Compass Royalty Management. He led the divestiture team and business development group of financial analysts and operations specialists. Kevin received his B.A. in Management from Sam Houston State University. Chris Elliott is Chief Operating Officer at GRP. His responsibilities include providing multi-disciplinary support across investments and operations, managing the firm's relationships with service providers including legal counsel, the Fund's administrator and auditors, and working daily with the management of GRP. Chris is also head of investor relations, and is responsible for handling day-to-day reporting and maintaining ongoing relationships with the Limited Partners. Prior to joining GRP, Chris was a Vice President at AlixPartners LLP, a global business advisory firm. During his time at AlixPartners, Chris advised the SIPC Trustee (Irving Picard) in the liquidation of Bernard L. Madoff Investment Securities. Prior to AlixPartners, Chris was an Associate at Merrill Lynch working in the institutional fixed income sales group in Dallas. Chris began his career as an Analyst on the high grade syndicate desk at Merrill Lynch in New York City. Chris received his B.S. in Finance from Pepperdine University. Bruce Morris is a Vice President at GRP. His responsibilities include identifying and evaluating investment opportunities, performing transaction due diligence and sourcing prospective acquisition opportunities in the mineral and royalty market. Over the course of his oil and gas career, Bruce has completed over 50 transactions across more than eight oil and gas basins, representing over $175 million in acquisitions. 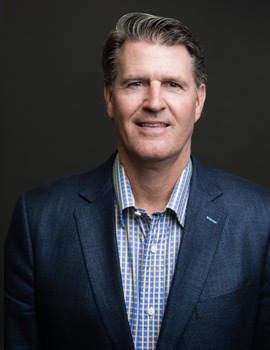 Prior to joining GRP, Bruce was Vice President of Acquisitions at Blackriver LLC ("Blackriver"), a family energy company focused on the acquisition of mineral and royalty assets. During his tenure at Blackriver, Bruce was responsible for identifying, securing, and building individual and institutional mineral owners. Prior to Blackriver, Bruce was with Noble Royalties. At Noble Royalties, Bruce was involved in identifying and evaluating oil and gas assets in acquisition and divestiture group. Bruce received his B.A. in Economics from University of Missouri-Columbia, with additional studies at Imperial College in London. Fred is Land Manager at GRP. His responsibilities include organization of potential interest offers for economic evaluation and due diligence in verifying title accuracy. Fred also handles the overview of conveyances as well as managing, monitoring and maintaining acquired oil and gas assets. Prior to GRP, Fred was an independent landman in Texas and Louisiana actively leasing minerals in the Travis Peak in East Texas and the Austin Chalk in Southeast Texas into Central Louisiana. Kyle Stelmazewski is Vice President of Engineering at GRP. His responsibilities include analyzing conventional and unconventional oil and gas reservoirs, most notably in the Bakken, Eagle Ford, Niobrara, Marcellus, and Permian. Over the course of his oil and gas career, Kyle has analyzed and acquired over $950 million in royalty and mineral assets. Prior to joining GRP, Kyle was manager of acquisitions and technical services at Noble Royalties. 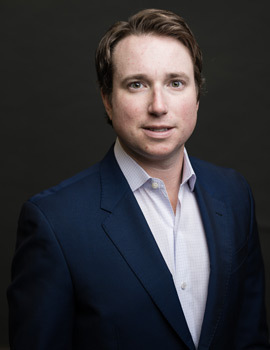 At Noble Royalties, Kyle was responsible for coordinating third party reserve reporting for over 100,000 properties and evaluating prospective acquisition opportunities in all major oil and gas basins. Prior to Noble Royalties, Kyle was a petroleum analyst at Netherland, Sewell & Associates. Kyle received his B.S. in Applied Mathematical Sciences from Texas A&M University with a concentration in Mathematical Finance. Harold Carter has over 40 years of oil and gas industry experience and has been an independent consultant since 1990. He currently serves on the boards of Abraxas Petroleum and Brigham Resources. Prior to consulting, Mr. Carter served as Executive Vice President of Pacific Enterprises Oil Company (USA). Before that, Mr. Carter was associated for 20 years with Sabine Corporation, ultimately serving as President and Chief Operating Officer from 1986 to 1989. Mr. Carter has served as a director of Longview Energy Company, a privately-owned oil and gas exploration and production company, since 2002. He also serves as Vice Chairman of the Board of Trustees for the Texas Scottish Rite Hospital for Children. Mr. Carter previously served as a director of Abraxas Petroleum from 1996 to 2002 and as an advisory director from 2002 to 2003. Mr. Carter also previously served as a director of Brigham Exploration Company, a publicly-traded oil and gas company, from 1998 to 2011 and as a director of Energy Partners Ltd., a publicly-traded oil and gas exploration and production company, from 2000 to 2009. Mr. Carter received a B.B.A. degree in Petroleum Land Management from the University of Texas and completed the Program for Management Development at the Harvard University Business School.